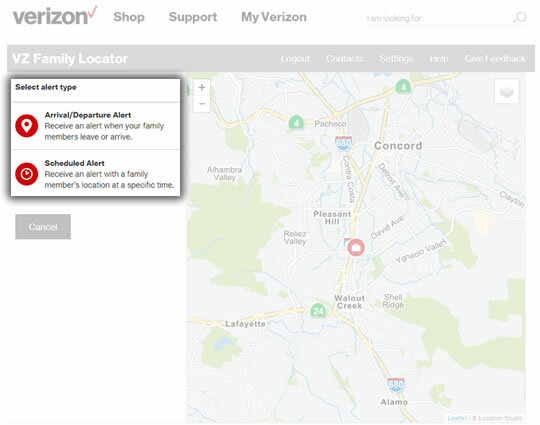 Here's info on how to receive alerts when your Family Member enters or exits a location you define, such as a school or home. 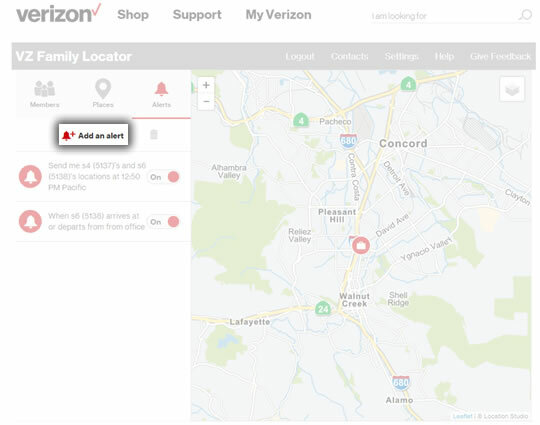 Alert messages sent to email addresses are outside of the Verizon Wireless network and delivery can't be guaranteed. 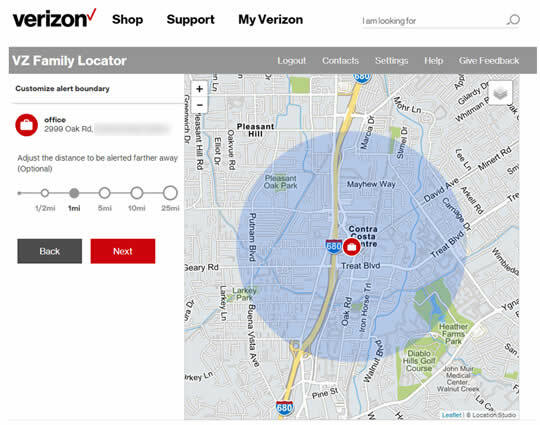 Only the account owner or an account manager with full online access can add arrival/departure alerts. Refer to Account Roles for additional info. Adjust the Arrival & Departure Alert boundary as desired (e.g., 1/2 mile, 1 mile. etc.) then click Next.